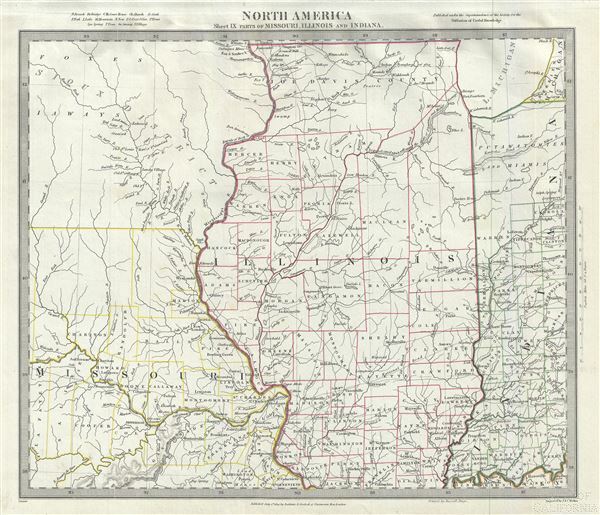 North America Sheet IX of Missouri, Illinois and Indiana. Rumsey 0890.136. Phillips (Atlases) 794.